One of the nation’s most prolific patent trolls is finally dead. After more than a decade of litigation and more than 500 patent suits, Shipping & Transit LLC (formerly known as Arrivalstar) has filed for bankruptcy. As part of its bankruptcy filing [PDF], Shipping & Transit was required to state how much its portfolio of 34 U.S. patents is worth. Its answer: $1. We are recognizing Shipping & Transit’s entire U.S. portfolio as our latest stupid patent of the month. We agree that these patents are worthless. Indeed, they have always been worthless, except as litigation weapons. In the hands of their unscrupulous owners, they caused enormous damage, costing productive companies more than $15 million in licensing fees and untold legal expenses. That’s tens of millions of dollars that won’t be used to invest in new products, reward shareholders, or give raises to workers. All patent troll stories start with Patent Office. 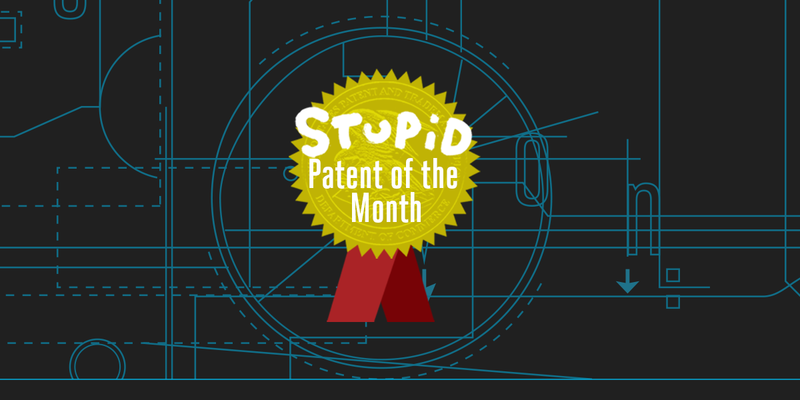 You can’t be a patent troll without patents. And you can’t have patents unless with Patent Office grants them. We have found many occasions to write about problems with patent examination. The Patent Office spends only a few hours per application and regularly issues software patents without considering any real-world software at all. This helps explain how an entity like Shipping & Transit could end up with dozens of valueless patents. Shipping & Transit claims to be “one of the pioneers of determining when something is arriving and being able to message that out.” Its patent portfolio mostly relates to tracking vehicles and packages. Of course, Shipping & Transit did not invent GPS tracking or any protocols for wireless communication. Rather, its patents claim mundane methods of using existing technology. Consider U.S. Patent No. 6,415,207. This patent claims a “system for monitoring and reporting status of vehicles.” It describes using computer and software components to store status information associated with a vehicle, and communicate that information when requested. In other words: vehicle tracking, but with a computer. It doesn’t disclose any remotely new software or computer technology. Rather, the patent claims the use of computer and software components to perform routine database and communications operations. There is nothing inventive about it. When it was known as Arrivalstar, Shipping & Transit sued a number of cities and public transit agencies claiming that transit apps infringed its patents. (While the exact legal relationship between Arrivalstar S.A. and Shipping & Transit LLC is unclear, Shipping & Transit has itself said that it was “formerly known as Arrivalstar.”) Its litigation had all the hallmarks of classic patent trolling. When transit agencies banded together to defend themselves on the merits, it quickly abandoned its claims. Plaintiff’s business model involves filing hundreds of patent infringement lawsuits, mostly against small companies, and leveraging the high cost of litigation to extract settlements for amounts less than $50,000. Finally, after more than a decade, Shipping & Transit’s exploitative tactics finally caught up with it. First one, then another federal judge awarded attorneys’ fees to the defendants in cases brought by Shipping & Transit. With defendants successfully fighting back, it stopped filing new cases. Shipping & Transit filed its bankruptcy petition [PDF] on September 6, 2018. The petition discloses that Shipping & Transit’s gross revenue in the two-year period of 2016 and 2017 was just over $1 million dollars. Of course, this does not include the legal costs that Shipping & Transit imposed on its many targets. It claimed to have no revenue in 2018. Other than its 34 U.S patents (valued at $1), and its 29 worldwide patents (also valued at $1), Shipping & Transit claims to have no assets at all. Where did more than $1 million dollars it received go? The application doesn’t say. But that isn’t true. On July 23, 2018, a writ of execution [PDF] was issued as to Shipping & Transit in the amount of $119,712.20. This writ was issued in Shipping and Transit, LLC v. 1A Auto, Inc., Case No. 9:16-cv-81039, in the Southern District of Florida. The judge in that case had issued a final judgment [PDF] on April 3, 2018, awarding fees and costs to the defendant. Both of these orders, and many other court filings, took place within a year of Shipping & Transit’s bankruptcy petition. Yet Shipping & Transit still affirmed that it had not been involved in litigation “in any capacity” within a year of the bankruptcy filing. It is not surprising that a decade of abusive patent trolling would end with an inaccurate bankruptcy petition. To be clear, our opinion that Shipping & Transit’s bankruptcy petition includes a false statement submitted under oath is based on the following disclosed facts: its answer to Part 3 of Form 207 of its petition, and the public docket in Case No. 9:16-cv-81039 in the United States District Court for the Southern District of Florida. UPSTO Director Andrei Iancu recently gave a speech where he suggested that those who complain about patent trolls are spreading “scary monster stories.” It may finally be dead, but Shipping & Transit was a patent troll, and it was very, very real. We estimate that its lawsuits caused tens of millions of dollars of economic harm (in litigation costs and undeserved settlements) and distracted hundreds of productive companies from their missions. Research shows that companies sued for patent infringement later invest less in R&D. A patent system truly focused on innovation should not be issuing the kind of worthless patents that fueled Shipping & Transit’s years of trolling. Courts should also do more to prevent litigation abuse. It shouldn’t take an entire decade before an abusive patent troll faces consequences and has to shut down. While it lived, Shipping & Transit/Arrivalstar sued over 500 companies and threatened many hundreds more. That might be a “monster story,” but it is true.